Home News Would you buy an iPad with a notch like the iPhone X? Would you buy an iPad with a notch like the iPhone X? It is clear that the iPhone X will mark a before and after in the mobile device industry as the original iPhone once did. And is that not only Android competitors are already looking for technologies to implement the Face ID , but Apple plans that its revolutionary design is that of the iPhone for years to come . But in addition, even believe in Cupertino that this aspect is what will serve to give a blow on the table and revitalize the iPad . 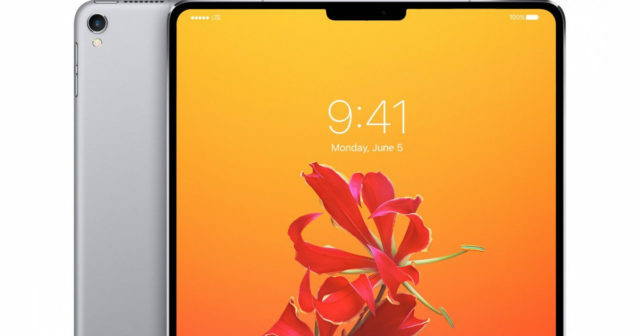 The iPad Pro is called to be the substitute for the laptop , or so Apple believes, but we also have to fall in love ... and judging by the renders seen lately , a tablet with hardly any frames or Home button and with the notch it seems that it can do it . The tablets have their reason for being in its lightness, portability, intuitiveness of use ... and what is more intuitive and lighter than an iPad without buttons? Everything with gestures! The notch would also bring advantages: the first of them all, get rid of the Home button and gain screen space. 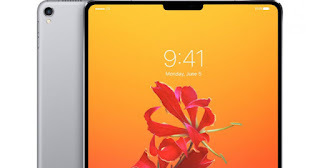 And is that if the iPad Pro wants to replace the laptop, it would be normal to forget about the old frames and bet on a screen that covers almost all its surface , something that would benefit both consumers of multimedia content and those who will use it to work , with the help of an Apple Pencil or a keyboard. In addition, facial recognition is a fast and reliable technology, despite being in early stages. That is, the Touch ID may be faster nowadays , but the Face ID is safer and improvements will be implemented very soon . We can not forget the funny animojis, but above all the virtual reality and the augmented reality , some fields in full development that already cause fury. With a camera as powerful as TrueDepth, design and video games would reach another dimension . Come on, that the iPad would receive a definitive accolade as a tool for creatives and could gain a place among gamers. Needless to say, this redesign and the implementation of such innovative technology would bring a price increase to the already inexpensive iPad Pro . But maybe they would thrill people again. And it is that everyone knows that iPads work great and that they have a long lifespan, but with this new look many people might be encouraged to buy it . Would you be one of them?